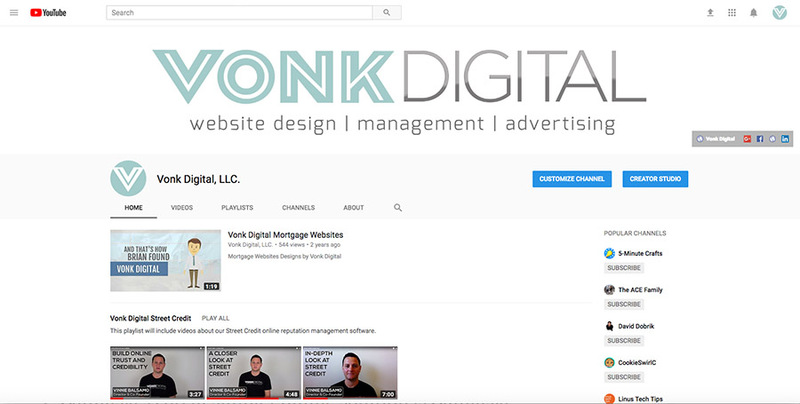 In today’s online world video is more important than ever for mortgage marketing. If you are trying to build any sort of mortgage resource following on Facebook, Instagram, YouTube, etc you really need to be creating video content. Your posts on social media need to include video of you or your team getting your message out and getting that message out often. I am not just talking about putting up some boomerang video every once in while. You need to talk into a camera to your ideal audience. This can be pretty uncomfortable and seem unnatural at first but it does get easier with practice. The more practice you get the less time it takes to make a 60 second video. Try to stay under 60 seconds for videos that you want to also post on Instagram. So what equipment and services do we recommend? Video hosting: We recommend YouTube, they are owned by Google. Your business should absolutely have a YouTube channel. Video Camera: We use the NIKON D750. You certainly do not need one this expensive but I would recommend getting a decent DSLR camera. Microphone: The RODE VideoMic for screen recording (can also be used on DSLR) and RODELink Filmaker Kit is what we use for video when talking to the camera. Having good quality sound makes a big difference. Another great Microphone that plugs directly into your USB and has studio quality is the RODE NT-USB, we use this one for instruction videos when a camera is not needed.